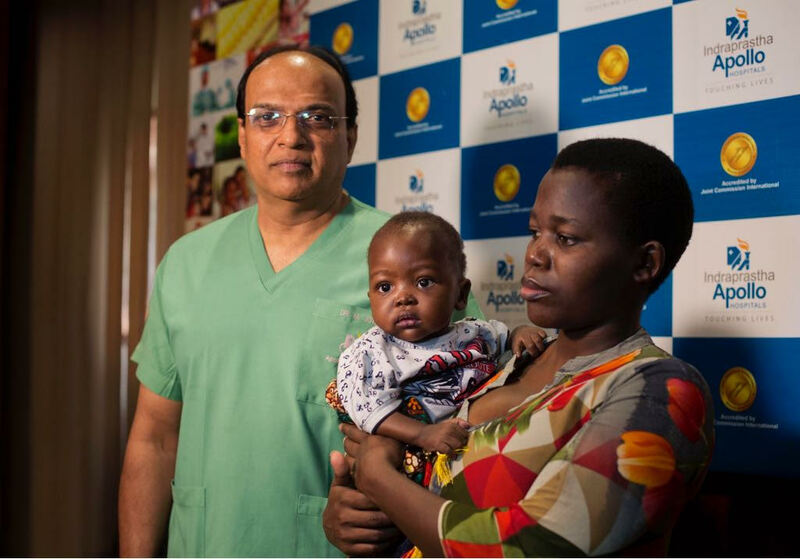 Doctors at Indraprastha Apollo Hospitals successfully performed a highly complicated and critical surgery to save the life of a one-year-old Tanzanian baby boy, Fravianous. The boy was suffering from a rare congenital heart disease called Hemitruncus. He has been successfully operated upon by a team of doctors from Indraprastha Apollo Hospitals including Dr Muthu Jothi, Senior Consultant- Pediatric Cardiothoracic surgeon, Dr AK Ganjoo- Senior Consultant, Cardiology, Dr Deepa Sarkar- Consultant, Pediatric Cardiac Anesthetist and their team. “Doctors are considered no less than god and belief in this statement increases when they save the life of your loved ones. My son too got a second life when Dr. Muthu Jothi from Indraprastha Apollo Hospitals saved my little baby boy from a serious disease which other doctors refused to operate,” says Dativa, mother of the patient.